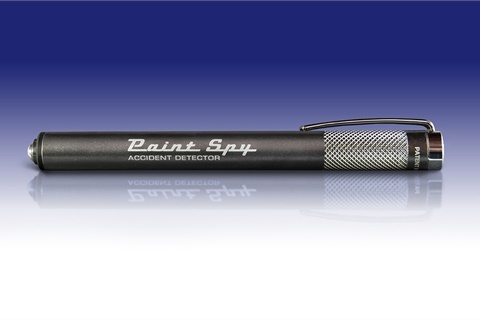 OJAI, Calif. — The Paint Spy Accident Detector was designed to offer automotive professionals a high-quality, precision-built tool that quickly reveals hidden body damage, repaint, or rust repair. Paint Spy’s neodymium magnetic technology senses the thickness of car paint and tells the user within minutes whether they should buy the car or walk away. Its compact size allows it to be carried in a pocket or purse. The device was invented by car-buying specialist Greg Macke, who saw the need for an inexpensive tool that anyone could use to inspect a car for hidden body damage.